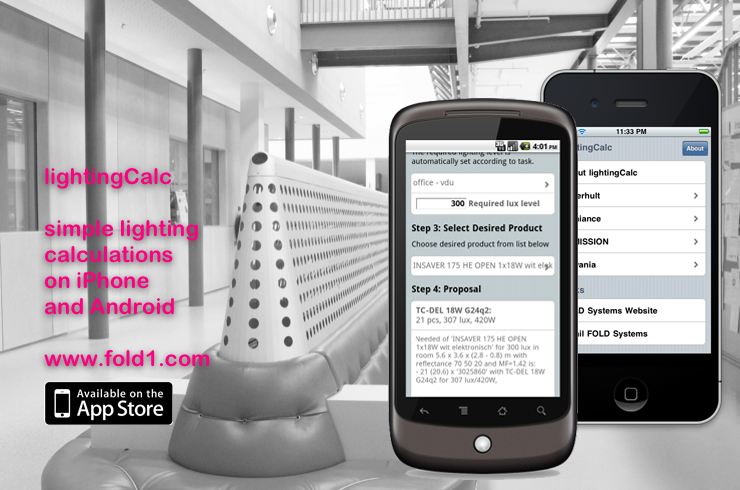 lightingCalc is a simple lumen method calculator allowing direct lighting calculations on a web pages with your luminaires. 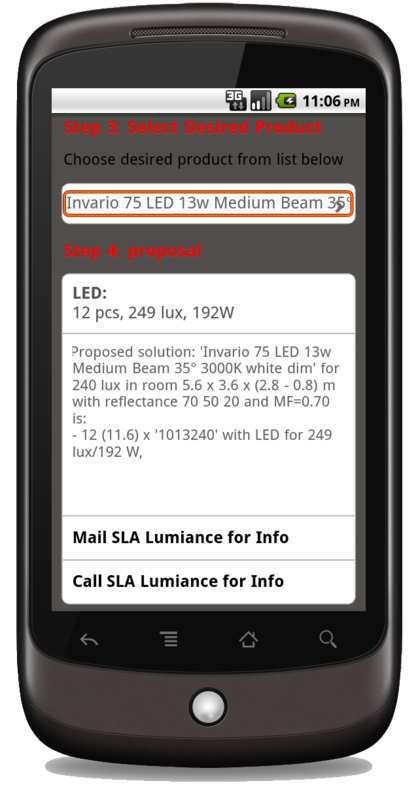 The same webservice can be accessed from a dedicated mobile site allowing simple calculations to be done from current smartphones such as iPhone, Android or BlackBerry. Click on photo to show more. 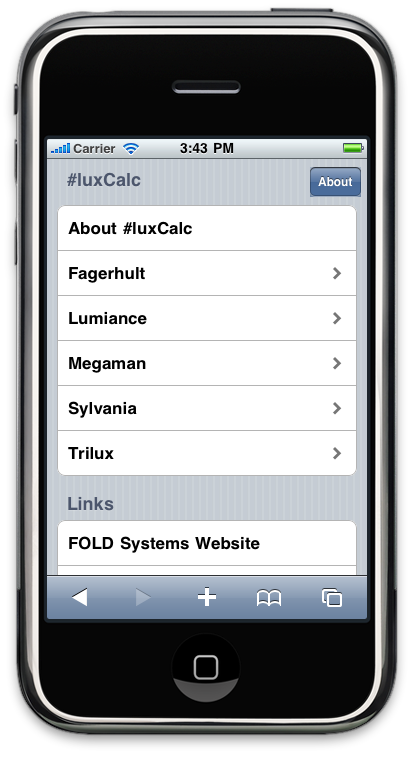 You can access this here.